Air conditioning is an important feature of your home to maintain your comfort. Since air conditioning installations require us to work inside and outside of your home, we will prepare a walkway of sheeting to guarantee that the only thing we leave behind is cool air. The installation process begins outdoors with the outside condenser. We link the copper lineset and wires outside. Depending on your home layout or available space, we will install the air handler or furnace in your attic or closet. The wires and plenum are connected directly afterwards. Now that the system is installed, we set up a programmable thermostat for you to control your comfort and maximize your energy. A full system check will be run to ensure your air conditioning system is fully operational. Prior to leaving, we will show you how to change your air filters and review proper maintenance for keeping your system running efficiently and smoothly for the years to come. 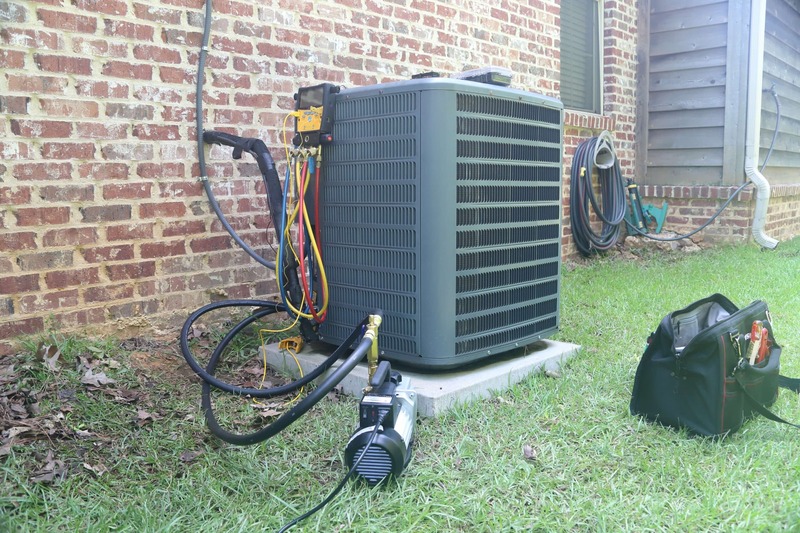 Air conditioning replacements can involve a simple removal and replacement of the outside condenser or possibly more such as the condenser and the air handler. Before beginning a replacement, we will assess your current system to determine what is necessary. Our technicians will always be honest about what solution will be a wise decision for your family. Our recommendations will always err upon conserving your budget and efforts. If your existing duct work and air handler are functioning properly, we will likely suggest just replacing the outside condenser. Prior to the replacement, you will be presented with a clear plan for approval. We want to answer your questions and make sure you are comfortable with the plan before any work takes place. At this time, we can also show you all of your options for greater energy efficiency. After removing your existing condenser, we can likely place your new condenser on the existing concrete pad. Your copper lineset and wires will be connected. A full system check will be run to guarantee the problem has been dealt with appropriately. The air conditioning repair process varies based upon the source of the problem. 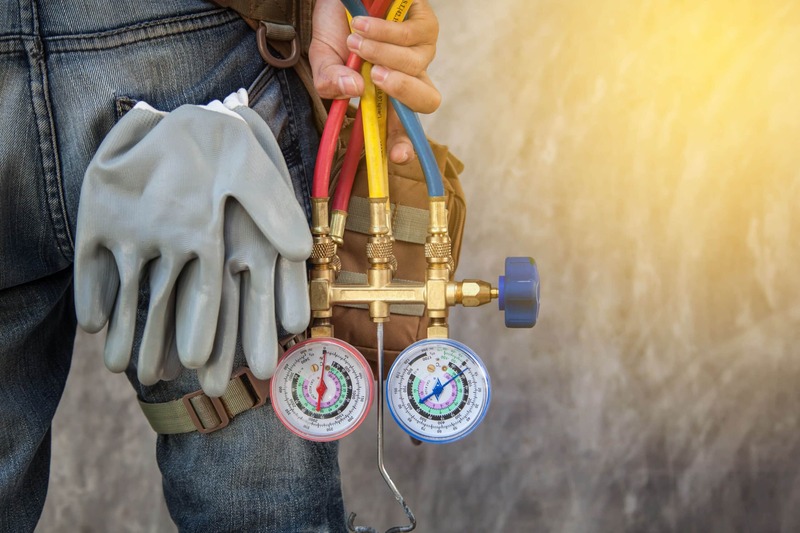 The most common problems encountered include refrigerant leaks, drainage issues, broken compressor fans, and frozen condenser coils. When your air conditioning is faltering, contact us for a swift and effective solution. Our technician will run diagnostics to determine the exact source of the problem. Once a repair plan has been determined, we will present a repair plan for your approval. With all repairs, we communicate the details so you fully understand the situation. When you approve of our solution, we will restore the function of your air conditioning and the coolness of your home. Before the summer heat, make sure your air conditioning is prepared to handle the workload. 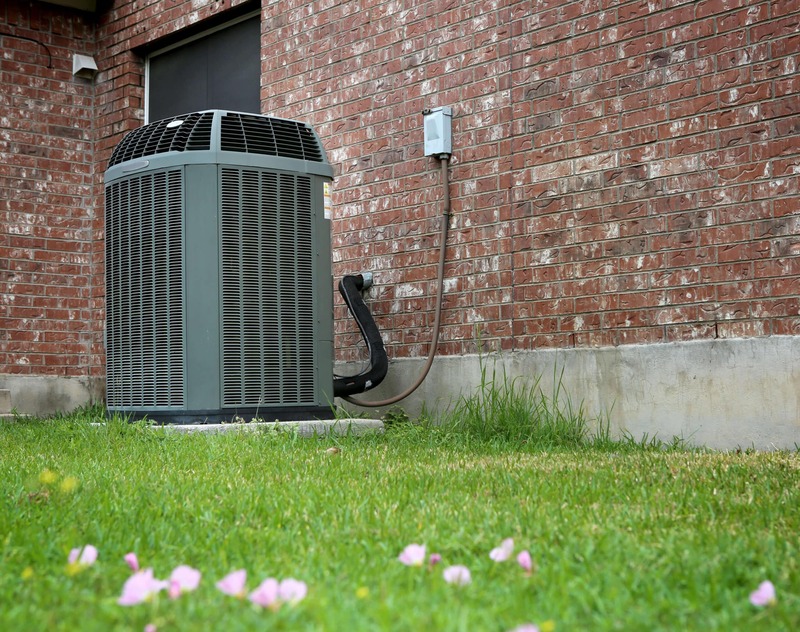 Through proper maintenance, your air conditioning will keep you comfortable this season and the warm times to come. In fact, many repair calls can be avoided altogether if your system is properly maintained. During a tune-up, we meticulously check each component of your unit to ensure it is functioning properly. 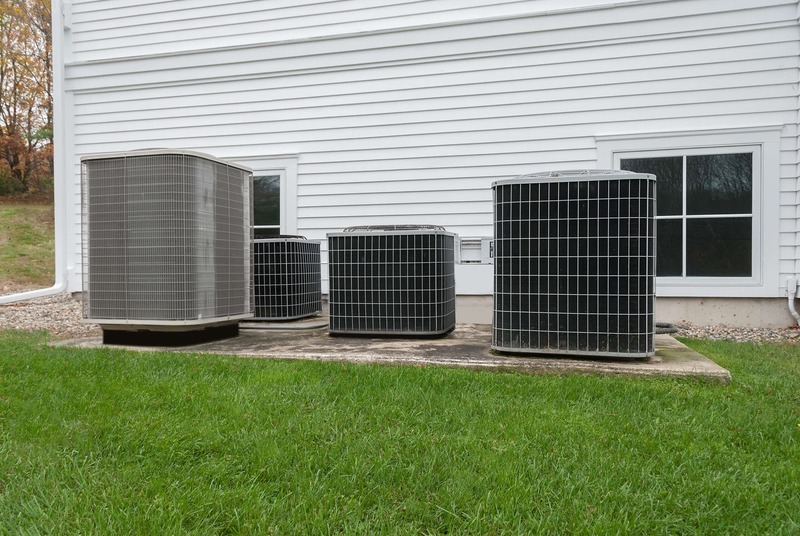 The tune-up involves inspecting the safety devices, disconnect box, contactors, electrical compartment, capacitors, fan blade, ductwork, indoor coil, condenser coil, and condensate drain. In addition to that inspection, we check time delays, supply/return, thermostat, air filter, air flow, blower motor, condenser motor, compressor, motor lubrication, and charge level. 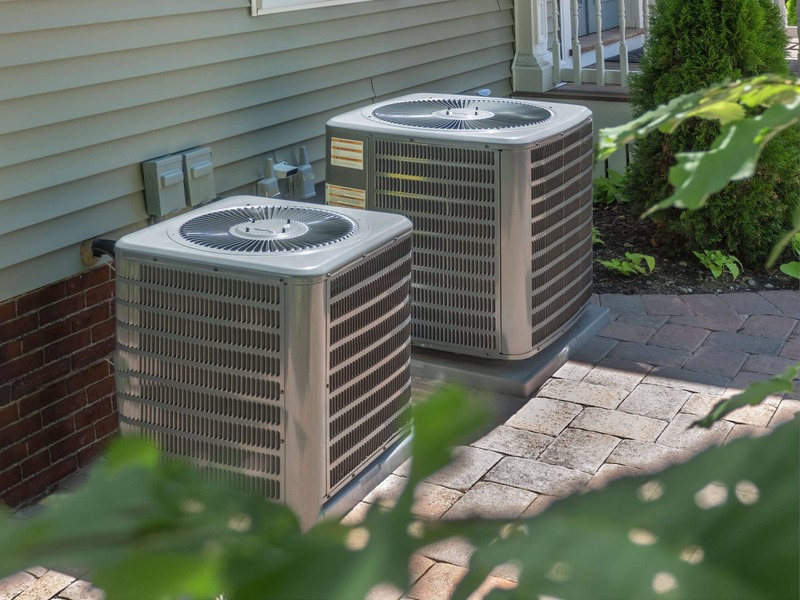 When every part of the air conditioning system has been optimized, your system is ready to face the summer heat. Energy efficient air conditioning maximizes your comfort while minimizing your spending and environmental impact. the upfront cost being higher. In the long run, the annual savings on bills cannegate the initial investment. If selling your home, having an energy efficient air conditioning system is a desirable asset. With proper maintenance, energy efficient air conditioning systems are built to last for considerably longer than traditional systems. Johnny Robinson is very professional and thorough. I have known him many years and he is honest and happy to assist with all your HVAC issues. He has also worked for my daughter and she was very pleased! Very professional and knowledgeable individuals. Quick response and great pricing. Kevin always makes me feel like family and does a fantastic job. Would recommend to anyone. Great company!! Johnny has been taking care of our HVAC needs for over a year now. He just performed a maintenance check on our furnace and air conditioning systems. No issues were found. We're very pleased the service and will highly recommend his company to our friends. Great guys. This is the second job they have done for us. 1 (one) commercial at our business and 1 (one) residential at our home. They were always polite and professional. Awesome work on both jobs. We recommend them to all our friends, customers and our family. Great customer service. Will definitely be recommending them to others! We had just bought our first home and ended up having a gas leak. Johnny found the leak within minutes and was able to fix the problem that day! He even turned on our heat to make sure everything running properly. I will definitely be using them again! Kevin is a rock star of AC/Heating. This is my second time calling True Patriot Mechanical. These guys know their stuff and they operate in integrity. Nowadays, this is truly rare. I Highly recommend. Kevin is very detailed, neat and considerate for my property...Highly recommend him and his service! Great quick service! Got our ac fixed in no time and super professional! Awesome service & quick response. Had my A/C back up in running in no time. This will be my new go-to company for A/C repair/service. Thanks to True Patriot Mechanical, for a successful preventative maintenance. I recommend, 100 percent, to anyone who is experiencing heating or air conditioning issues. Exceptional service. Attention to detail. Kevin was very responsive during the inspection process. Emergency Service: 24/7 - 365 days a year.